Give undivided support to govt, urges Liew | Daily Express Online, Sabah, Malaysia. 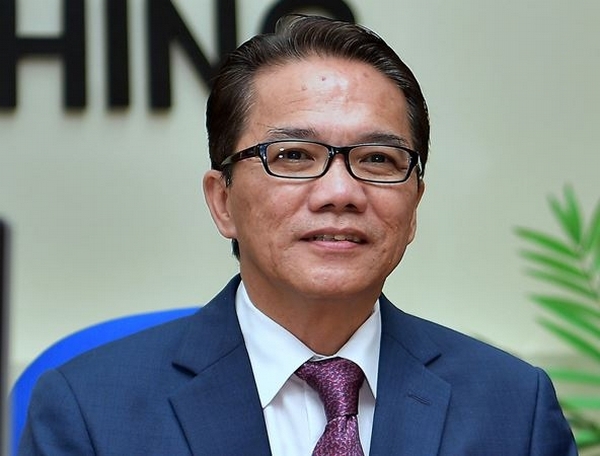 Sandakan: Minister in Prime Minister Department (Law), Datuk Liew Vui Keong urged people to continue to give their undivided support to the government led by Prime Minister Tun Dr. Mahathir Mohamad. He said the people shall be grateful to the leadership of Dr Mahathir as he is sincere in helping them. "We need to give him strong support in leading the country, especially in implementing policies with good initiative. "Be assured that the leadership of Pakatan Harapan (PH) and Parti Warisan in the State will continue to be stable and forward." Liew was speaking at the launching of Carnival Sabah Heboh Bah Vol 2. Year 2018 organised by Wira Parti Warisan Batu Sapi held at Padang Bandaran, Sunday night. Liew praised the organiser's initiative for successfully organising the event for the second time. "It is a nice programme which enlivened Sandakan town as well as attracts thousands of visitors, thus boosting the local economy," he said.